At 1:58 Jon Stewart is referring to our upside down tax system and the corporate freeloaders, amougnst other things. At 3:40 - Marco Rubio, the guy who claims 'not to be a scientist' and by implication saying that as a consequence of his lack of scientific understanding he can't comprehend what 97% of scientists are telling him, claims there is an "economic restructuring going on which our policy making hasn't kept up with'. His claim lacks credibility. At 5 mins Marco Rubio makes it clear that he is aware of the "Obamacare VS Affordable care act" schizophrenia... AND he is playing the politics of 'Obamacare is bad' as long as people don;t know. Complete proof of his duplicity & lies. It starts off with talk about Marco Rubio's idea to expand the earned income tax credit... which Obama is already pushing so it isn't a particularly earth shaking idea. AT 2 mins we get to hear that the anti science party has a congressional committee which doesn't like the idea of a minimum wage increase. Marco Rubio pretends to believe that jobs will disappear with the increase of the minimum wage while their support of the TPP & NAFTA doesn't. The argument goes along like this 'if we increase the wage then machines will magically appear and take over your job'... then he talks about getting your food from a vending machine, as if that doesn't already exist and fast food or restaurants haven't disappeared. 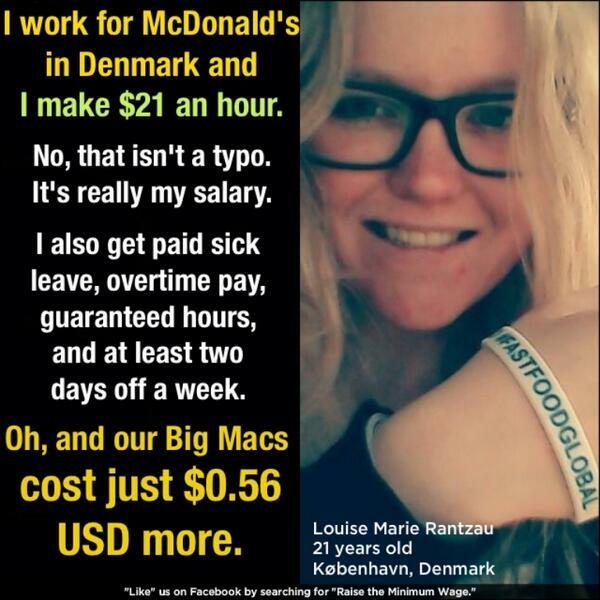 There is a reason a fast food employs people. The reality is that the income boost would help people prepare for the future, so that when fast food does automate to a great degree (30-40 years from now) this generation will already have houses and would have enough wealth for the next technological economic boom, whatever that may be. At 3:14 what Marco Rubio is saying SOUNDS like a reasonable economic statement i.e. that if you make someone more expensive than a technology then people will switch. I would like to remind "Mr. I'm not a scientist", that such technology would be way to expensive for any customer service related restaurant. The eating out boom will continue even if a weird automated fast food shows up. To talk about technology that doesn't exist and making policy decision based on this imaginary situation is just ridiculous. As it is, car factories have become heavily automated and still employ a ton of people. So even modern parallel examples don't work for this excuse.